It is sadly unsurprising that Prime Minister Cameron's highly publicized trip to Turkey went with no mention of that country's continued denial of the Armenian Genocide, and its suppression of Kurdish and Armenian minorities. Indeed when Turkish leader Erdogan discussed his threats of ethnically cleansing Armenians in the UK, Gordon Brown made no more comment on the matter than if Erdogan had been discussing his favorite television programs. Instead Cameron sold out the rest of Europe, declaring that he was "angry" at how long the negotiations to bring Turkey into the EU were taking, and declaring himself the "strongest possible advocate for EU membership". He slammed France and implicitly Germany, for refusing to rush forward to support bringing Turkey into the EU. Cameron sided with Turkey, over France and Germany, betraying allies for enemies. And worse was yet to come. Not only did Cameron ignore Turkey's ongoing occupation of Cyprus, but he signed a strategic agreement with Turkey that calls for ending the "isolation" of the Turkish Cypriots by upholding their "right to representation" in the European Parliament, and promoting political and cultural contacts with the Turkish Cypriots. What that means is that Cameron committed himself to supporting Dervis Eroglu from the radical National Unity Party, which calls for Turkish annexation of occupied Cyprus. The strategic agreement signed by Cameron, moves the UK closer to recognizing the Turkish occupation of Cyprus, which currently only Turkey itself recognizes. Again Cameron makes no criticism whatsoever of Turkey's illegal occupation of Cyprus. He does not mention the fact that he signed an agreement promoting the flow of goods from occupied Cyprus to the UK, while Turkey refuses to accept goods from Greek Cyprus. Of course not. No more than his predecessor was willing to. Did Cameron do any of this out of principle? Nonsense. Cameron knows as well as anyone about Turkey's state of domestic terror, its persecution of the political opposition, and how unworkable Turkish membership in the EU would be. Instead like Brown before him, Cameron pandered to the Turkish thug-in-chief for a few pounds, hoping to boost British exports to Turkey. In the hope of a few million pounds, Cameron betrayed fellow European nations, signed off on Turkey's occupation of Cyprus, ignored the thousands of political prisoners in Turkish jails, and whitewashed Turkey's real record on Islamic terrorism. And while he and his businessmen friends beamed and shook hands with Turkey's chief terrorist-- others were left to stand up against the violence and brutality of the Turkish regime on their own. In his rambling speech, Cameron praised Turkey for fighting against terrorism. The reality however is that the only "terrorism" that Turkey fights against, is Kurdish guerrillas, from its large Kurdish minority who want to have their own state, or at least some basic human rights. And when Cameron shook hands with Erdogan, he was shaking hands with a man whose patron, Yassin Qadi, funneled millions of dollars to Al Queda, and whose own advisor, Cuneyt Zapsu, donated 300,000 dollars to Al Queda. Al Queda operates its magazine freely in Istanbul, which is convenient because Erdogan claims there's no such thing as Islamic terrorism. If Turkey, as Cameron says, is guarding the flank of Europe... then who in G-d's name is guarding Europe from Turkey? Certainly not Cameron. Cameron's despicable toadying to Turkey's Thug-in-Chief was one long collection of lies. In his speech, he claimed that "Europe will draw fresh vigour and purpose from a Turkey that embraces human rights and democracy". Turkey's democracy is such that its opposition is routinely jailed. Its human rights has sent 12 year olds to prison for singing folk songs. It has no concept of democracy or human rights. Its 10,000 political prisoners could testify to that. Almost a 1000 of them opposition politicians. The sham continued as Cameron congratulated Turkey on "its efforts to achieve the ambition of zero problems with all its neighbours, including Iraq". This after Turkish troops repeatedly invaded Iraq just just last month, murdering a 15 year old girl, among others. The Iraqi government protested, to no effect. Cameron, who is supposed to be committed to guaranteeing Iraq's security, instead shamelessly praises the invaders. The only casualties he mentions are those of the Turkish invading forces, not their victims. Never their victims. And so it goes. Cameron babbles on about Turkey's religious tolerance, while the level of hateful incitement spirals out of control. He talks about the true tolerant Islam, to a man who was at one point imprisoned for his own Islamic radicalism. He takes up arms against all those damned obstructionists who are preventing a lovely regime like Erdogan's Turkey from joining the EU. He vows to fight them everywhere, like a latter day Churchill, proclaiming not, "There will always be an England", but rather, "There will always be a Turkey in the EU". If there was any Turk in that room who had the slightest respect for England before Cameron began to speak, it was sure to have vanished in a whiff of contempt. Cameron's speech reminds one of English socialists visiting the Soviet Union and heaping praise on Stalin and the wonderful revolution, before going off to collect their blood money. And now Cameron has done them one better, demanding that a radical Islamist regime share open borders with the EU. In a speech given while Erdogan prepares to round up political opponents before the election on fraudulent charges of "inciting" Kurdish riots-- Cameron made only one criticism of human rights. Not of Turkey of course. 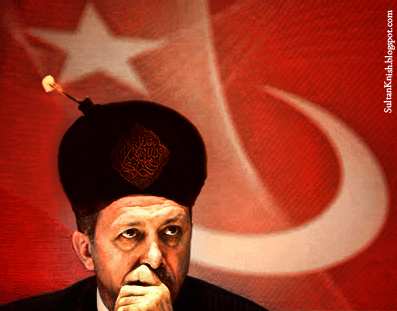 Or of Erdogan, who has jailed about as many of his opponents as Saddam Hussein. No, Cameron courageously blasted Israel, for standing up to Erdogan's IHH thugs, after they beat and stabbed Israeli soldiers inspecting their flotilla carrying aid to Hamas run Gaza. Cameron blasted the response of Israeli soldiers who fired back after they Turkish Islamist thugs tried to murder them, as "completely unacceptable" and called Gaza, a "prison camp". He demanded a "swift, transparent and rigorous" inquiry. No such demand was of course issued to his hosts for their 10,000 political prisoners, their illegal invasion of Iraq and murder of civilians-- or that Armenian genocide matter. Of course no inquiries are demanded there. "We have waited long enough," reads one poster. "Allah wants this war," is the message on another. - Daniel, I'd like to show proper outrage at Cameron's disgusting attack against Israel - except that Israel's own governments (present and past ones) have betrayed their principles too. Netanyahu conveniently dismissed the Likud platform, embracing the Arab Two-State "Solution" instead. Why should foreign governments be any more principled towards Israel than Israel's own leaders? - Regarding Cameron and other EU leaders, I wonder whether there is some point in the future when Europeans will get fed up with being pushed around by Islam-friendly politicians and will turn to the extreme right for salvation. - Or is the fact that the British are tolerating so well the loss of their country to Islam a sign that they have already given up? - Here is the link for The Opinionator.typepad - a British blogger who keeps track of the descent of England into a nightmare of fear and violence. - But it's not all depressing stuff on that blog. For all of you fellow animal lovers, there is an article on the Dog Heroes of the Blitz. My article is primarily about Cameron's sellout of Europe. Take a moment to imagine the kind of international pressures that Israeli leadership have had to face. If Netanyahu had to submit, the blame is on the counter moral and unprincipled lib leaders that we have elected in the West. On the other hand, Cameroon and his party kneels before terrorists out of their own volition. I disagree. US pressure is not about some minor issue that can be accommodated. It's about something profound and irreversible. 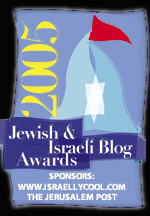 It is about the most fundamental challenge Israel has faced since 1967, which includes not only the imposition of illegal borders (in violation of League of Nations and other international agreements), but also the creation of a hostile state on Jewish land - all of which will result in certain catastrophe for Israel. It should be a matter of principle to be firm and to refuse demands by a foreign government that are so utterly damaging to the security of Israel. I like Netanyahu. He is an articulate, intelligent, pleasant individual. But I am concerned that his threshhold for pressure is not high enough. The job requires strength and vision. The expulsion of thousands of Jews to make way for another Arab state; a much smaller Israel (nine miles wide at some point) divided in two to allow for a land corridor between Ramallah and Gaza (the Fatah-Hamas quarrel will eventually be resolved one way or another); and a DIVIDED JERUSALEM. And, oh, yes, the return of Arab refugees to Israel. 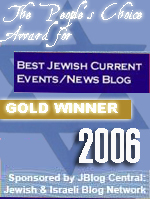 It has been reported that former PM Olmert had considered allowing a "token" number of them. Maybe a few hundred thousand. This is probably on the table again. Phase II will be the launching of Arab violence against Israel all along the border, with nowhere for Jews to run to. This means the loss of countless Jewish lives. Quite frankly, I don't think we should sympathize so much with Israeli politicians' sensitivity to pressure but not feel the enormity of what's at stake for millions of Jews. Mr. Netanyahu accepted the job of Prime Minister of Israel. He is responsible for his actions, not the US or the EU. Jews are not helpless anymore. They have a country, they have nukes, and they have international law on their side. For any Israeli leader to submit to the bullying of foreign leaders at the cost of the future of the country would be unpardonable. There is one response to US pressure: annex the territories, give the Arabs residency - and if things work out, eventual citizenship. No more "occupation". Gaza too needs to be annexed. Israel can't tolerate an Iranian base to operate from there. All good, but there seems to be a common theme among Jewish bloggers that the Kurds are a natural place to put our sympathies as a point of diplomatic leverage against the Turks. But haven't we made this mistake before? At one time the Islamists were "oppressed" in Egypt and also the Taliban were "oppressed" in Afghanistan. Who are the Kurds really and what role do they play in advancing Islam as a global power? The Kurdish demands predate the current government in Turkey and go back to when it was more secular. What is their relationship with the fundamentalists? And frankly my skepticism also includes the Armenian claims of genocide against the Turks. The Armenians were not entirely passive in their relationship with the Turks either. Turkey is no longer the Ottoman Empire and is entitled to protection as a nation of a distinct peoples and that includes the integrity of its borders, however negotiable they may be. British PM Cameron is reminiscent of former PM Chamberlain with his appeasement strategy toward Turkey. Gone are the days of great English statesmen like PM Churchill and PM Thatcher. There might not always be an England with amateurs like Mr. Cameron at the helm. Pamela Geller is saying that Obama put Cameron onto this, this kind of takes away from the seriousness of this, I'm glad you're not a conspirarcy kook like Geller. I think we need to clear out the kooks at our end, who are so blinded by hatred of Obama that they blame everything on him. I'm no fan of Obama, but when anyone starts to blame every foreign faux pax on Obama, they're crazy. This is a dangerous trend. Geller is dangerous for us, I no longer trust her. You said it like it is. Thanks. Why would Cameron raise the Armenien genocide with Erdogen, (as if that is something out of the ordinary in Europe, the continent is built upon genocide) when he didn't raise the Indian genocide with Obama? Marc, the "great English Statesman" Churchill, propogated the The Protocals which he believed were real, and said that Jews were behind every European subversive movement in Europe, he even blamed us being responsible for the HOlocaust, by saying that the Russian Bolsheviks some of whom were Jews, ignited passions of revenge. Cameron is Britain's best and brightest. If this is what he is saying, imagine what the EU parliamentarians in Brussels would say. It's no use complaining--any replacement would come from the same elite. It's clear that Cameron's speech was carefully crafted to appeal to Erdogan's every sentiment, while saying nothing to offend. Once agreements are signed and English exports secured, whether Cameron's gov't. continues to push for Turkish entry into the EU will determine Cameron's true commitment to that goal. If Cameron is not actually serious about Turkish entry into the EU and only offering temporary support to gain exports, any future conflict between Turkey and Israel will provide the perfect excuse for Cameron to offer only tepid support for Turkey's bid to enter the EU. Turkey's entry into the EU would remove the final barrier to the Islamization of Europe and make its prevention almost impossible. Even should Cameron be serious, other European nations would have to get on board and the increasing Islamization of Turkey bodes ill for ultimately achieving Turkey's admission to the EU. Marc wrote what I was thinking. Emuna: I think Pamela Geller makes a good point. Did you see that short video of Obama and Cameron: check it out, and notice the look on Obama's face. He is desperate that Cameron says exactly what he has briefed him to say. CAMERON: Barak, my friend, you've got to go easy on BP. Millions of Britons depend on BP for their pensions. OBAMA: I understand what you mean. I'm under a lot of pressure here myself, from the right, from the left, from the Gulf of Mexico folks, from the Jews, from everyone. You've got no idea! CAMERON: I don't want to make things harder for you, my friend. Perhaps we could reach an understanding. OBAMA: What a coincidence! I was thinking along the same lines. Look, Islam is being unfairly portrayed as a religion of terror. Muslims are being maligned everywhere, particularly in Europe. What the European Union needs is more balance. It needs a moderate voice, such as Turkey. CAMERON: Am I thinking what you're thinking? OBAMA: Well, what are you thinking? CAMERON: I think that you're brilliant, my friend. The UK and other European countries could greatly benefit from admitting Turkey into the European Union. I think that I will propose exactly that when I visit Turkey. OBAMA: There's another issue, though. Israel has been offending Turkey's sensibilities lately and those Jews need to be put in their place. Would you say a word or two in that regard? CAMERON: With pleasure, my friend. With pleasure. Cameron is like most leaders today, weak, ineffectual and fake. Devorah, thank you for the link. I do not believe that Obama had anything to do with Cameron's tirade. What I am saying is that Europe is anti-semitic already, they do not need Obama to bash Israel. Cameron is only reflecting the general British view of Israel, remember Blair was kicked out by the Brits for being too pro American. To say that Obama is responsible for Cameron's anti Israel tirade propogates the fantastic and dangerous lie that Geller and others propogate, that the West is Israel's friend, and Obama is it's enemy, when the truth is the WEst is not pro Israel. In polls in Europe, and Britian, Israel and Iran are considered the two most dangerous and "terror" inspiring nations, along with North Korea. Long before Obama was in power. I've seen Hamas being romanticised in Europe as freedom fighters taking on the might of Israel. Obama is not responsible for that, though Geller may have you believe he is. This is a delusion, and only serves to discredit our cause. Criticise Obama for what he does himself, but when you blame every anti semite for being led by him, that is dangerous for Israel. It gives food for the anti Israel crowd because it is not true, and it leads them to support the Islamists because they will think, "oh well, if they lie about this, they're probably lying about the islamist threats they face". It's no wonder we have a Hasbara problem. We have the wrong type speaking for us. Just one lie can discredit a cause, and Geller is not a good spokesperson for Israel. Surely, there are legitimate reasons to bash Obama? I doubt that in this case Cameron needed to follow Obama's lead. First of all, Cameron was signing on to Brown's old policies, including the two year old strategic agreement. Obama's own views on Turkey in the EU may have had some influence, but as I've chronicled, Cameron has been toadying to Muslims for a while now. Secondly, in the context, Cameron is focused on boosting UK exports. Which means he's willing to pander as hard as he needs to. Thirdly, the UK is radically anti-semitic and anti-Israel these days, and bashing Israel is a safe way for Cameron to shore up his credentials. While Cameron's plea for Turkish entry to the EU was certainly not univerally welcomed in the UK, you will be depressed (but not surprised) to learn that on the radio phone-ins and editorials in the UK the reaction to his Israel bashing comments were almost universally acclaimed. The most common (and yet most inappropriate when you think about it) description of Cameron's attack on Israel was "very brave". You see he had dared to stand up to those evil, all-powerful Zionists in the very heart of ... oh dear, an anti-semitic, anti-Zionist audience. There were also loads of comments to the effect that "I have never voted Conservative in my life, but Cameron is now such a legend for standing up to the Israelis that he will get my vote in future". The other incredible thing about the media coverage in the UK is that, whereas there was very muted coverage of the anti-Israel component of his speech in Turkey (and where it was covered it was praised as above) his comments in India the next day about Pakistan's ambivalent attitute to terrorism was the lead story everywhere. The slant on this story was not that Cameron had been 'brave' to raise such an issue (which is not exactly news anyway is it) but rather that he had caused outrage to Pakistanis and Muslims everywhere. Indeed the BBC News dutifully led with suitably outraged Pakistanis and Muslims being interviewed. Anyway, I can't understand why people are surprised at Cameron. I have been warning on my blog for ages (see http://edgar1981.blogspot.com/ for the latest posting about him) just what a disaster he would be if he was PM. To me the give-away was when he was interviewed by the Jewish Chronicle shortly after becoming Party leader. The most positive thing he could bring himself to say about Israel was “I believe Israel has a right to exist”. As far as I’m concerned anybody who makes that statement is already revealing anti-semitism because they would not make the same statement about any other country in the world including the very many which were created during the twentieth century with far less obvious legitimacy than Israel (think Pakistan as an obvious example, but also virtually every single Arab country was a purely artifical creation). If anybody ever says that to me I always thank them and respond by saying “that’s very kind because I think you also have a right to exist”. When was England not on the side of the muslims or tyranny? 1) I remember the film Robin Hood with Kevin Costner. The black actor Freeman played a devout muslim who followed Robin back from the crusades obliged to save his life, after Robin saved his. Besides WWII, when were the British the good guys? Historians only disagree re: the extent of cimes against humanity by british soldiers during the War of Indepence of America,but they do not deny it. Is this the first war that murder took place off battlefields with such careless abandonment, apart from the murders by muhammad? The british are a treacherous murderous lot who stole words from other languages to complete their own language. The quicker that miserable island of fish and chippers sinks, the better off we will be. I would boycott anything from there if I knew what they produce. Britain isn't the worst nation on earth and is far from it actually. For all his faults, and who doesn't have faults, Winston Churchill was still a great man for the times. England is and was a great nation full of great people. It has had some bad detours but it will be first rate again one day. Infidel Guy - Hope you feel better now you have got that lot off your chest. Today for the first time I listened, on another blog, to a brilliant speech by Newt Gingrich to the AEI- never heard him speak before. By what he had to say it sounds as though we should remember the saying - 'United We Stand, Divided We Fall'. Troubled times ahead. ...AND WHAT A SURPRISE, THEY'RE ALL IN THE EUROPEAN UNION! And also I'm sure you haven't heard that the Armenians had killed off many Turks, female in particular at WW1. No offence but there should be a biased check on articles before they hit the 'net. And next time you call someone a political prisoner check their police record first. I think you'll find a very different story. I like your criticism of Erdogan though, its good you speak up.